Eupatorium hyssopifolium var. 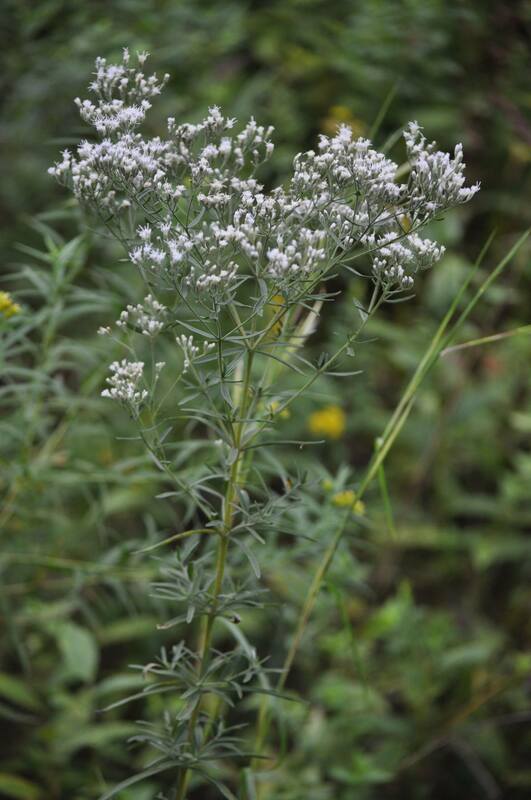 laciniatum is a perennial herb to 1.5 m tall. Leaves linear, sharply toothed to deeply, pinnately divided, 6-11 cm long, 0.5-1.7 cm wide. Otherwise same as E. hyssopifolium. Flowers dull white, 5 per head, bracteate base about 0.5 cm tall, cylindrical, finely gray-hairy; inflorescence rounded; blooms Aug.-Oct. Frequency in New York City: rare (NYS S2 T).